Uber Deutschland: A Reader on German Affairs is a collection of articles and essays from various German sources that can be used by students learning the German language. The book contains a variety of extracts from public speeches, official reports, essays, newspaper articles, and interviews. The text offers general knowledge and information on German affairs and public life. These subjects of i… nterests cover the social, political, legal, economic, and cultural scene in the German republic. Some chapters contain English sentences that the student can use as an exercise in translating to German. Each of the chapters includes a vocabulary list, while an appendix at the end of the book contains a wider word list. The book also presents a general view of the structure of government of Germany. The selection can be used by students learning advanced German. 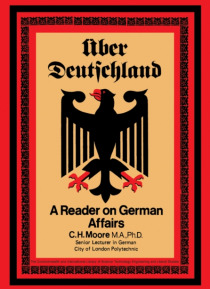 The text is designed to build the student's vocabulary and give him a balanced perspective of German affairs.